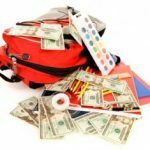 According to the National Retail Foundation’s 2014 Back-to-School Survey, the average family with children in grades K-12 will spend $669.28 on apparel, shoes, supplies and electronics. It is even higher for college students. It is about this time that parents start eyeing ads for back-to-school shopping. 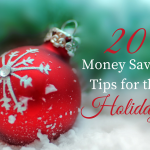 Here are some tips to help you save this year. Take inventory: Take inventory of the items you already have. Look in basement bins, closets and junk drawers. Round up all the items that will be useful for school. Put them in a separate bin and compare it with the list of items you have to buy. You might be surprised by the number of items you already have. It is a good de-cluttering exercise too. If you find you won’t be using any of these items, donate them and get a receipt for use during tax season. Form your own co-op: Buying in bulk always saves money, but you don’t need a 100-pack of pens even if your kids lose quite a few of them throughout the year. Talk to other parents who are shopping with the same list, buy in bulk and split the cost so you can bring the per-person cost down much lower than if you were to buy alone. Shop during the sales tax holiday: Fifteen states have a sales tax holiday in August to help with back-to-school shopping. If you plan your purchases well, depending on your state’s sales tax amount, the savings could be significant. Buy discounted gift cards: You might not be able to combine coupons, but you can certainly use a coupon with a gift card. Buy gift cards from giftcardgranny.com or similar discount gift card sites to stretch your dollar. Use the right credit card: If you shop mostly at Target, the REDcard offers five percent cash back on purchases and an extra 30 days for return. Most small business cards offer five percent cash back on office supplies. Use technology: Social media has become a great tool for shopping. 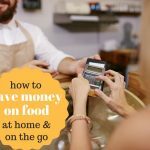 Embrace the technology to save money instead of avoiding it. There are several ways to save with social media. Use apps for organizing and comparison shopping. Load up your shopping list on Evernote or Cozi. As soon as you find a deal on one of the items, make a note of the store and the price. Apps like RedLaser will let you scan an item and look for the lowest prices, both online and locally. If you shop mostly at Walmart and don’t want to spend any time comparison shopping, use Walmart’s new tool SavingsCatcher. All you have to do is enter your Walmart receipt number. The tool then scans the circulars of top competitors and matches eligible items on your receipt. If there is a lower advertised price, you get the difference as a Walmart gift card. Follow shops on Twitter to get coupons and sale alerts: Many companies send exclusive coupons and offers to their social media fans. Here are some stores to start with @Staples, @OfficeDepot, @Target and @Walmart. Use Facebook pages for swaps and to find used items: There are now hundreds of local Facebook groups that work similar to Craigslist, only with fewer no-shows. You can buy, sell, or swap items from around your home with other local families. Use student discounts: Don’t forget to factor in student discounts from stores that offer them when you do your comparison shopping. Get money back: If you are shopping online, don’t forget to go through cash-back sites like ebates or fatwallet. You won’t pay a different price for going through them; you will get back a small percentage of what you pay. If you prefer to shop in-store, there is an app for that! Load up ibotta or Shopkick. Shopkick even gives you points (which you can redeem for gift cards) for just walking into stores like Target or Best Buy. Shop multiple stores for loss leaders: If saving money is your main goal rather than saving time, don’t do all the shopping at one store. Every store will have a few loss leaders (things that are heavily discounted to less than their cost) to get you to the store. The hope is that once you get to the store you will buy more than just the loss leaders. This scheme might allow you to check things off your shopping list with significant savings. Hit garage sales and thrift stores: Gently used clothing, backpacks and other supplies can be picked up for pennies on a dollar. Use the store’s price-matching policy: Walmart, Staples (110 percent price-match guarantee), Office Depot, Office Max, and Target all offer price-matching. Many of these stores offer to price-match even online prices. Use an app like Retale app, which gives you access to all the store ads online. This will save you the trouble of carrying tons of paper ads around. Simply pull up the specific ad on your smartphone and show that to the cashier. Have a craft party: Buying branded items can be a lot more expensive than generic supplies. Stores are stocking up on “Frozen” backpacks, lunch boxes, even notebooks and pencils. If your kids want themed supplies, ask them to get crafty. Have a craft party with their friends to convert generic items to themed items. You will save money; they will learn some skills. Dollar stores: Finally, don’t forget dollar stores. They normally have incredible bargains for most back-to-school supplies. What are your savvy money-saving tips for back-to-school shopping? Form your own co-op is a great idea. I’ve actually never heard anyone talk about that, granted I don’t have kids. I think it’d be worth writing a more detailed post on just that idea and trying to get the word out.